Who are the best troops? At first, I don't attach importantce to the troops. I think they are just some minions. Today I found they can add incredible buff on the heroes. They are also a very important element to successful hero deployment. I prefer Risen troops. They can imporove hero's basic attack danage. Because the resource is limited . I must choose one troop to cultivate. Could you give me some advice? Does Risen troops deserve investing ? Thank you. Troops effect the outcome of pvp battles, legendary troops have a higher bonus however the stat they boost may not be the best. The best troop depends on what u need in the battle talos troops stone golems and crystal troops provide the best defense bonuses. For attacking mera sandspirit and the new troop provide a good boost. Choosing an offensive or defensive troop can effect the outcome of pvp battles so I can't tell you which one is best. Only that I personally use sandspirit, mera, stone golems, crystal, and talos troops in pvp. The new troop I don't have at 4 star so I don't use them yet but I plan to. Thanks for sharing, Fiesty Leprechau. I know there are many kinds of troops in the game. We may need to adjust the troops to fight with different kinds of enemies. However, I am confused about the choice of troops for defence depolyment. Could you recommend me a better one? U can use troops according to heros use in pvp. .
Yan, early on in the game (Lv 1 to 39), I choose to concentrate on a troop type that I have by levelling it with the green potions. As I open more chests and unlock "full body" drop for new troops types, I prioritise levelling troops that will improve my main 5 to 7 heroes so that I could unlock more content of the game faster. Which types of troops to use for defense in pvp depends on 2 factors: your heroes composition as well as your potential aggressors' possible heroes compositions. Are you building a full attack team for your pvp defence to overwhelm aggressors fast? Go for troop types that have ability and penetration (e.g. cavedwellers and sorcerer troops). Are you going for attrition battles where the countdown timer actually works in favour of the defender? Go for troop types that allow your heroes to last longer (e.g. Children of Talos, stone golems and crystal elementals). If you are going for critical strike chance troops (e.g. 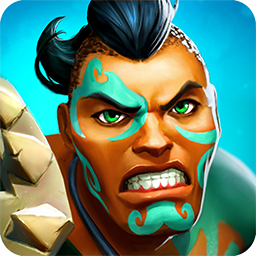 Desert warriors), do make sure your heroes have many critical strike damage runes, physical/ magical ability damage runes and/or basic attack damage runes. If you are going for an increase in the basic attack damage for your heroes (e.g. risen troops and sandspirit runes), do equip more physical/magical penetration and basic attack speed runes for your heroes. If your dream team will perform remarkably well through fast use of abilities, the Dryad troops could work wonders. Hi littlestrike, your reply helps me a lot. Thank you.